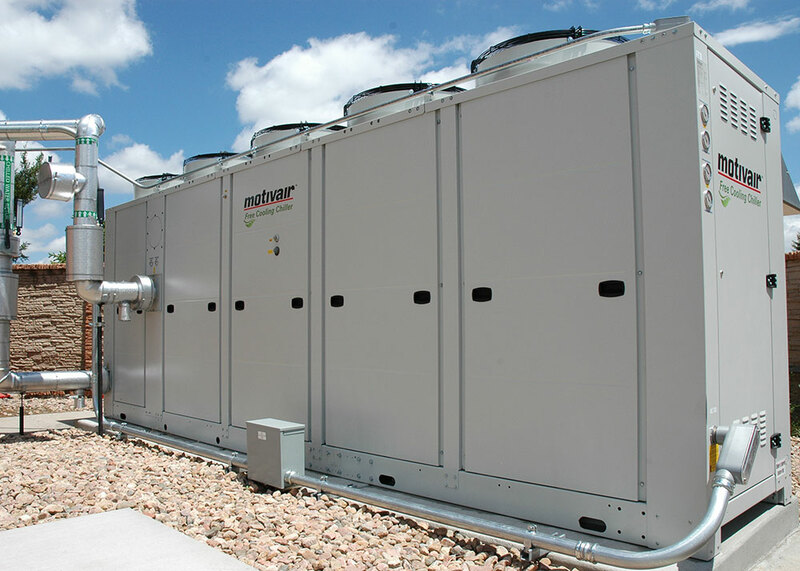 On June 1, 2016, the Springs Hosting data center chiller project was completed. “The new state-of-the-art liquid cooling system is up to sixty-percent more efficient compared to that of its refrigerant based predecessor. APC InRow cooling units have been added throughout the facility to maintain precise temperatures to customer equipment.” said Juston Vogt, Director of Construction with Critical Facilities Technology (CFT). Juston continued, “a complete custom containment system has been installed to regulate airflow and isolate rows of the data center environment.” CFT engineered and implemented a custom solution tailored to Springs Hosting’s data center environment. “CFT has been an indispensable partner overseeing this complex project to guarantee all of the vendors were on schedule. The increased capacity and added redundancy is crucial to keep pace with our data center expansion projects.” said CEO Don Brown at Springs Hosting. We would also like to give a special thanks to Schneider Electric, Motivair, Western Mechanical, and Olson Plumbing and Heating for their experience and tireless efforts to deliver a first-class product. Springs Hosting is a leading Hosting Service Provider (HSP) and Data Center (DC) headquartered in Colorado Springs, CO. Our DC boasts an extensive list of certifications to meet our customer requirements that include SSAE16 Type II Compliant, HIPAA Compliant, PCI Compliant, and UL Listed [UL827]. Since 2006, we have been providing customers with best in class managed services that include colocation, internet service provider (ISP), cloud services provider (CSP), disaster recovery as a service (DRAAS), website and email hosting. Customers trust their critical data systems to Springs Hosting because we have proven our reliability and commitment to meeting the challenges of today’s ever evolving workplace. For more information on Springs Hosting, visit www.springshosting.com or call 719-393-9266. Critical Facilities Technology (CFT) provides complete life-cycle services for all mission critical applications. CFT specializes in data centers, hospitals, military applications and any other facility that requires 100% uptime. Our services include site evaluation, design and engineering, construction management and facility management. CFT’s staff includes an on-site licensed professional engineer along with experts in mission critical design and construction management. As industry experts, we regularly perform Educational Seminars on energy efficient data center design, power distribution, and cooling for Consulting Engineers, Contractors, and End Users.